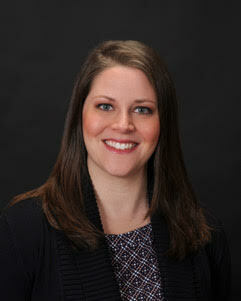 Kristie McKeen takes great pride in providing excellent service to her clients. From her genuine and warm nature combined with her inviting personality, being a Real Estate Agent comes naturally for her. She feels there is nothing more rewarding than helping a client achieve their dreams in purchasing or selling a home. With a degree in art education and a minor in photography, she spent 10 years as an Art Educator. Kristie thrives on building quality relationships and focuses on the needs of her clients. Combine that with her attention to detail and you know you will be in great hands! Additionally, Kristie is passionate about giving back to the community and is a member of the Harvest Ball Society; an organization that helps raise money for the northland community. Kristie is an advocate of supporting locally owned businesses, as well as keeping abreast of the continued growth in our area. She and her husband are proud parents of two daughters and couldn’t think of a better city to raise their family and call home!